On August 11th, arc Thrift Stores held it’s 4th annual “Golfing with a Purpose” Charity Tournament Fundraiser at the beautiful, scenic, and well-manicured Red Rocks Country Club in Morrison, Colorado. In attendance, were over 150 supporters of arc and its mission to support people with intellectual and developmental disabilities. Among them were 120 golfers participating in the tournament, 25 corporate sponsors supporting the event, and dozens of volunteers. It was a perfect day for golf, and our players enjoyed on-course contests like a Long Marshmallow Drive, a Buy a Drive from a Champion Long-Driver who hit the ball 450+ yards for the teams, and Hole-in-One challenges worth cash and prizes. Arc Ambassadors Garnons and Ryan showed off their stellar putting skills on the 9th green. We had a wide variety of raffle and auction prizes, uniquely peppered with those one-of-a-kind finds we discover at our stores. Special thanks to everyone who participated in this great event, and extra special thanks to our Platinum level sponsors: Prime Trailer Leasing, and Colorado Storage Systems, and our Title Sponsor OrthoColorado Hospital. This event grows in support and FUN every year, and we can’t wait to out-do ourselves again next year! Written by Ethan “The Razz” Raczka. Feed CO 2014 RESULTS ARE IN! Each year, arc hosts their Feed Colorado event to benefit Volunteer of America’s Meals on Wheels and City Harvest food bank. 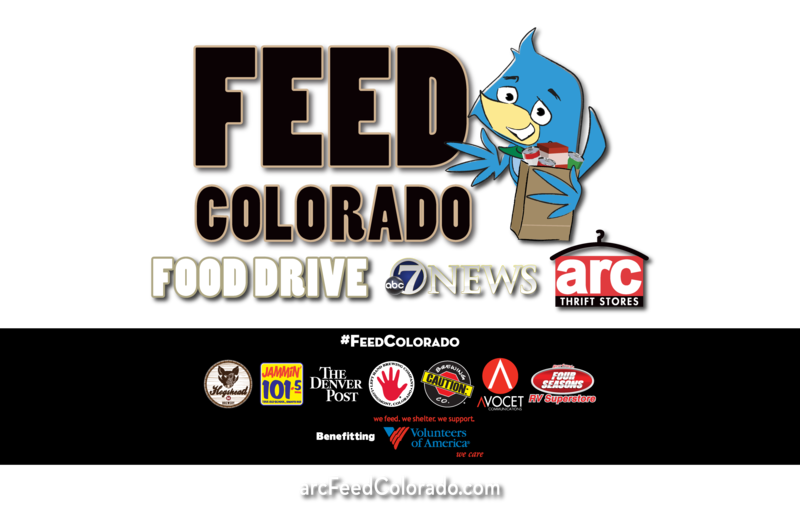 The donation process starts at the arc call center, where our employees call those people who have registered to donate to arc as a reminder to when their scheduled pick up time is, as well as asking these giving individuals to set out some canned food for Feed Colorado. The donations as well as the food are picked up by arc drivers beginning April 1st through May 15th, with each year having a higher goal than the year before. 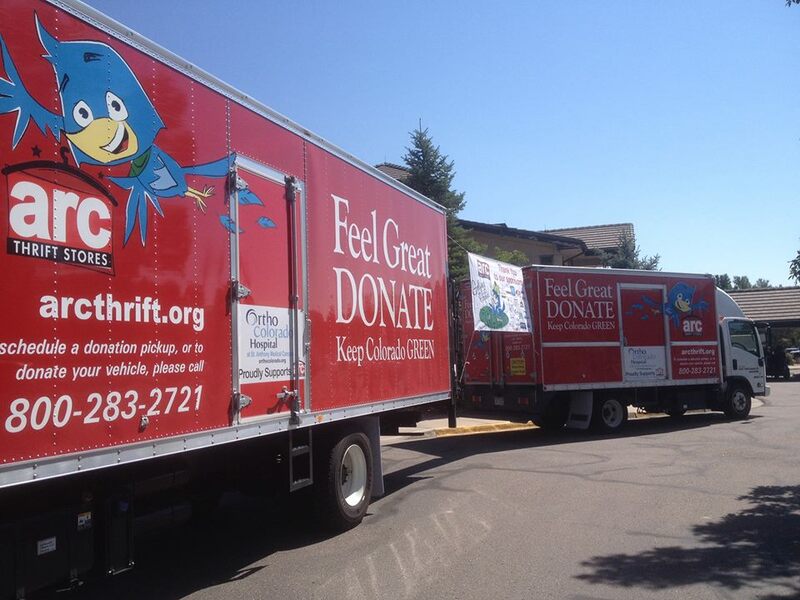 This year’s goal, 150 tons of food, was like the previous year surpassed—with the 2014 Feed Colorado food drive raising over 170 tons of food for those around the Colorado area who are food insecure!